After what he described as the hardest week in the history of Leicester City, manager Claude Puel returns to business. This afternoon at Cardiff, he will send out his team in search of the three points which could lift them into the top half of the Premier League. But he is aware the match will have significance far beyond the standard pursuit of victory. After the death of Vichai Srivaddhanaprabha, the club chairman, in a helicopter crash outside the King Power Stadium last weekend, this will be a game charged with emotion and meaning. Not least because it will coincide with the start of a week-long funeral commemoration in the billionaire’s native Thailand. 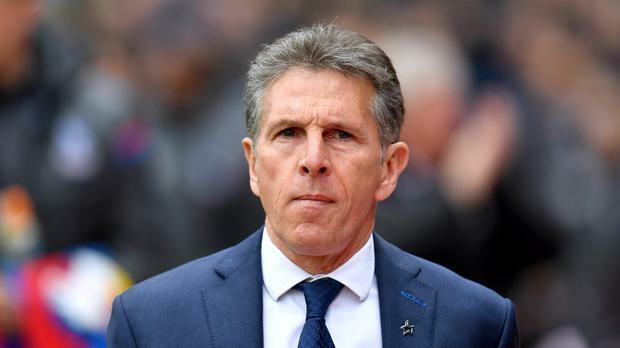 “Playing football has not been at the front of our mind,” Puel said. Puel is convinced his players will be more than ready to face the occasion. “Although I gave always the option (not to play), what I saw this week, I think all the players would like to play this game,” he said. As the ever-growing sea of tributes outside the King Power indicates, Srivaddhanaprabha was an unusual chairman. Universally appreciated and admired, what is clear from the response to his death is that the Leicester faithful attribute to him responsibility for the glories of the club’s unexpected Premier League title win in 2016. Puel put it succinctly: “He changed people’s lives for the better.